Z Grills Wood Pellet Grill & Smoker with Patio Cover.. Smoke, Bake, Roast, Braise and BBQ with Electric Digital Controls. Are you looking for a real capable pellet grill that not only looks the part, but that also provides a complete outdoor kitchen experience? 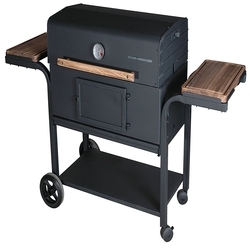 The Z Grills Wood Pellet Grill & Smoker is a bold departure from most gas and charcoal grills, offering a unique aesthetic that will look perfect as the set piece of your outdoor entertainment area. It’s also a capable cooking appliance, offering more ways to cook than most outdoor grills. Unique and attractive; is this the right grill for your home? Let’s take a look at the complete review and find out. Automatic pellet hopper and feed system. Large cooking area with a 513 square inch main cooking rack. 187 square inch warmer rack. Up to 450° F temperature setting. First Impressions – Just What is the Z Grills Wood Pellet Grill & Smoker? On first glance this model might look like your average combination charcoal and gas smoker, but it’s nothing of the sort. Rather than rely on either of the aforementioned fuel sources, it exclusively uses compact wood pellets for cooking and smoking. 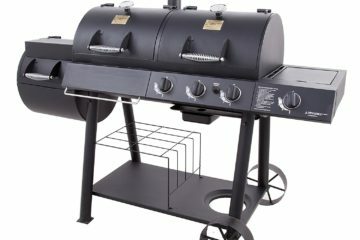 This will be preferred by smoker enthusiasts and it will be quite a unique attraction for anybody that is looking for a grill that is slightly out of the ordinary. First impressions are positive, and there’s no denying that this is a great looking grill. Finished in black and brown copper, it will stand out on any decking area, a patio, or next to the pool. Mounted on wheels, it’s not too difficult to move this grill around your property, but it would be a stretch for us to call it an outdoor portable grill. This is one that you’ll be keeping at home, which should be apparent from the size and the large cooking surface. Another important thing to note from the first impression is that this grill is electrically operated. Although it uses natural wood pellets for smoking and cooking, it requires an electrical connection to operate the hopper and maintain temperature. First impressions of the build quality are great, and this can easily hold its own with other grills in the price range. Although it doesn’t feature the stainless steel design that is so popular today, it’s easy to see that as an aesthetic decision rather than as a question of overall quality. This grill is nothing like the average stainless steel gas grill, and that is why the unique look is so effective. In addition to smoking, it can do everything that a large grill can. Cooking with pellets and without gas or charcoal options, you might assume that this grill is something of a one trick pony. The reality is that it can actually do much more than the average grill. The main difference here is its ability to be used as a smoker. 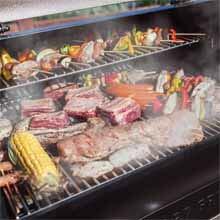 Most grills of this size and price would need an additional smoker box to use real wood chips, whereas the Z Grills Wood Pellet Grill & Smoker uses them as the primary fuel source.In addition to smoking, it can do everything that a large grill can, right down to baking. It also takes care of roasting, searing, and standard barbequing or char grill cooking.The biggest advantage to using wood pellets is the flavor that you can give your food. Wood smoke has a unique savory flavor with complex elements that can depend on the type of pellets that you use. Maple wood pellets and apple wood pallets are examples that can be used to add sweeter flavors. Hickory pellets add a rich smoky flavor that is reminiscent of southern roadhouse cooking.The smoked flavor doesn’t need to be overpowering, as you can choose the exact type of pellets that you want to cook with. The downside is that you won’t be able to achieve the more neutral flavors that you could with a regular gas grill.This might be seen as a disadvantage by some, but there are plenty of other quality grill options if the authentic smoky flavor is not what you’re after. The large hooded cooking chamber lends itself well to roasting large cuts of meat as well as specialties like bread and oven baked pizza. The latter is definitely a high point of this grill, as you can achieve the authentic wood fired taste of classic Italian pizzas. The cooking options are versatile, and the electronic temperature control is a big advantage here. With gas and charcoal grills you will have to closely control the flame or the coals to get the temperature that you need. This can be time consuming and it makes grilling much more involving. If you are entertaining guests, then you will want to be able to converse and socialize while you’re cooking.With the Z Grills Wood Pellet Grill & Smoker this will never be a problem, as you can simply set the electronic temperature and you’ll have heat accuracy just like you would experience in your kitchen. It’s no exaggeration to say that this grill is a complete kitchen replacement. If you do decide to invest in this model, then you will find that summers will be centered around your outdoor living areas. There’s something unique about this grill that makes you want to keep using it, and it’s a welcome departure from contemporary gas and charcoal grills. While models from other manufacturers add pellet cooking and smoking as an optional extra, on the Z Grills it is integral to the whole experience. Again, it’s not a grill for everyone, but if you want a truly authentic pellet cooking experience, like you would have with a wood stove or oven, then this is definitely a model that will meet your requirements. The biggest advantage to using wood pellets is the flavor that you can give your food. 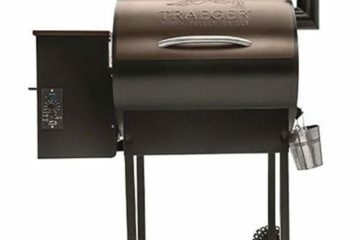 We’ve already mentioned the electronic temperature control that offers a true set and forget experience, and there’s plenty more that this grill can offer. 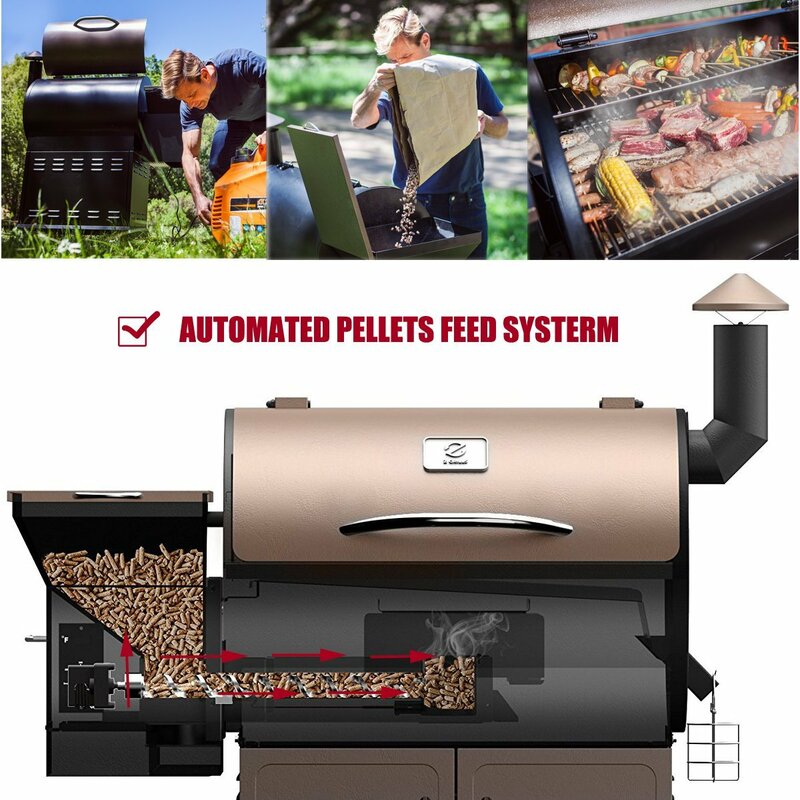 The automated pellet system is a huge advantage and it takes away the inconvenience and mess that is found in some other pellet grill systems. The hopper is completely automated and can hold 20 lbs. of wood pellets. This is plenty for a long grilling session, so you won’t have to worry about refilling it in most cases. Simply fill it up before you get started, and you’re ready to go. The electronics will automatically replace the pellets as they burn, maintaining a constant temperature inside that will allow for better cooking at more accurate temperatures. Consistency is one thing that many home grill enthusiasts struggle with, but the controlled nature of cooking with the Z Grills will completely eliminate this problem. The pellet purge system is also automated, so you don’t need to worry about regularly cleaning the hopper. Once the pellets are depleted you will simply need to refill it, although, as has been mentioned, this is not something that you will need to do during even a longer grilling session. 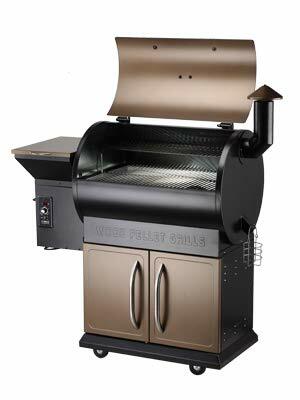 The grill produces approximately 25,000 BTUs per hour, which is on par with most other grills of this size. The average gas burner produces around 5000 BTUs, so you could think of this model as being equivalent to a 5 burner gas grill. Design and construction quality is excellent. Design and construction quality is excellent, with the grill coming partially assembled with clear instructions to get up and running. Taking things slowly and carefully, it will be 45 – 60 minutes before you’re all set up and ready to start cooking. Setup can be accomplished without the help of a second person, as most of the grill pieces are relatively lightweight. With all of the instructions followed, you will find that the grill is sturdy and it inspires confidence in the longevity of the product. The three-year manufacturer warranty also helps with that. The Z Grills Wood Pellet Grill & Smoker doesn’t require extensive maintenance, but it can collect ash inside the cooking chamber after extended use. Because there are no gas burners in the way, it’s actually quite a simple job to get things cleaned up. Ash that is left (and not deposited into the grease tray) can simply be vacuumed out, and this is something that a number of consumer reviews have recommended. Although not exactly a negative, this is probably not the grill for you if you are looking for the instant fire and heat of a gas powered grill. Gas grills can achieve searing temperatures quickly, and higher end models offer special features like infrared cooking zones. 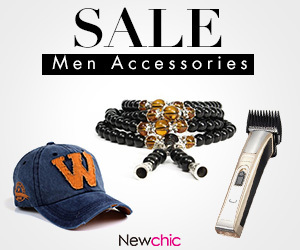 Some grills in this price range will also come with rotisserie attachments. The Z Grills Pellet Grill & Smoker doesn’t offer these features, but it’s a different product aimed at a different market. As always, there are grills for everyone and there’s no single grill that is perfect for the entire market. If you’re looking for gas, then this model will clearly disappoint. If you can appreciate a grill that is unique and that offers authentic wood fired cooking, then you’ll quickly fall in love with this model. One of the key advantages of this grill is flavor. Cooking with wood offers a unique taste, even when you are using standard oak pellets. When you want to provide more complex characteristics then you can choose hickory or apple wood for flavor. 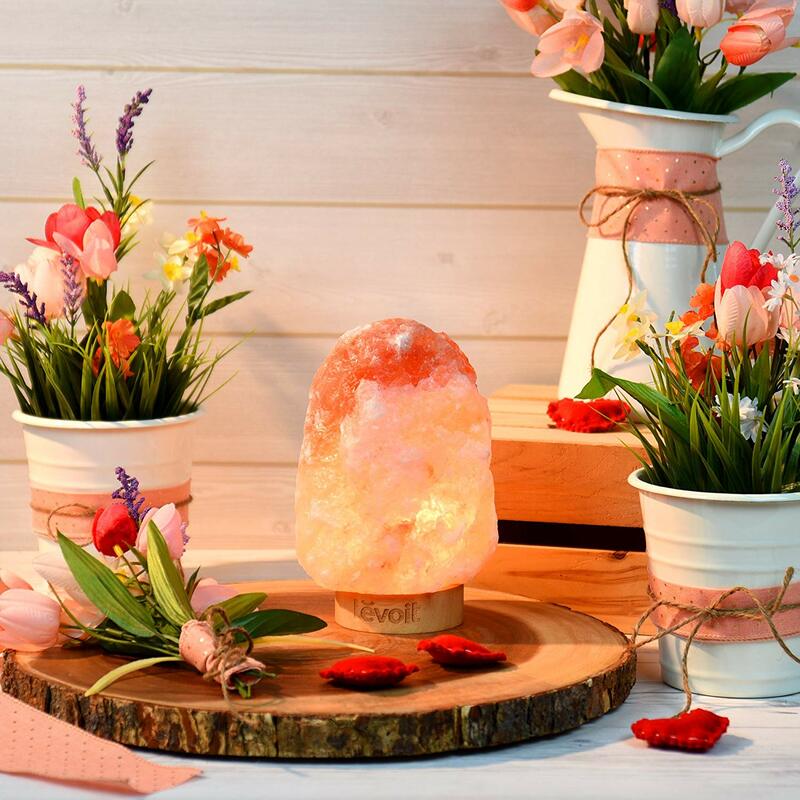 Wood pellet cooking will add a new dimension to your outdoor parties, and this will become a centerpiece of any gathering with family and friends. The consistency of cooking and the ease of use is another key advantage. Being able to simply set the temperature and walk away is something that other grills can’t do. Even the most advanced gas grills with temperature gauges will need constant tweaking to maintain an ideal temperature range. The automated electronic system on the Z Grill Pellet Grill & Smoker is something that you will appreciate if you grill often, particularly if you are cooking larger cuts of meat, or whole birds like turkey, chicken, and duck. The construction quality is also one of the major advantages, and the three-year warranty is not something that you will see on every outdoor grill. There’s a feeling of quality in this model that will give you confidence knowing that it will last for many seasons to come. The large cooking area and easy cleanup helps to top off the package, and of course there’s the stunning design which will look great outside your home. 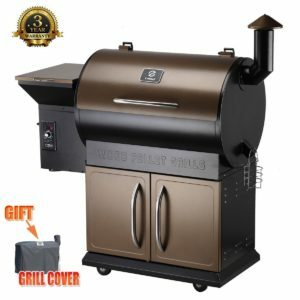 Should You Buy the Z Grills Pellet Grill & Smoker? We have mentioned throughout this article that this is not a grill for every home. It offers a different style of grilling that not everybody will be accustomed to, and some won’t like being limited to pellets without the option of gas. If you are someone that can appreciate authentic wood fired cooking, then this is one of the better models on the market. It is also competitively priced and punches above the range in terms of functionality, cooking ability, and ease of use. If a pellet grill is what you’re after, and if you want natural smoke flavor, then buying the Z Grills will be an easy decision. There are no real negatives outside those that come down to personal preference, making this one purchase that lives up to its promise, with quality and great cooking ability that will have you wanting to grill more often.